In the fall of 1887, Rt. Rev. 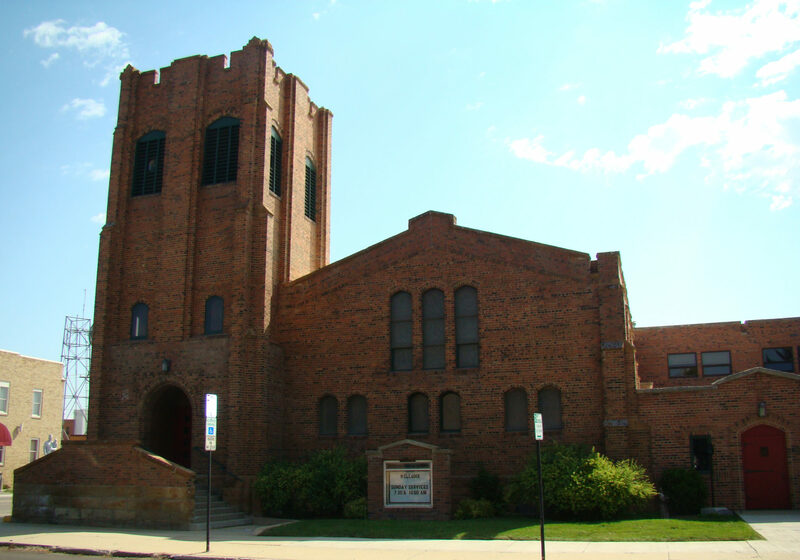 Ethelbert Talbot, Missionary Bishop of Wyoming and Idaho, first arrived in Sheridan and expressed his interests in holding church services for local residents. Throughout his visits, Bishop Talbot became determined that the Episcopalians of Sheridan needed their own house of worship. In 1889, Bishop Talbot purchased three lots in the Thurmond 2nd Addition block and later announced in 1892 that arrangements had been made to build an Episcopal Church. 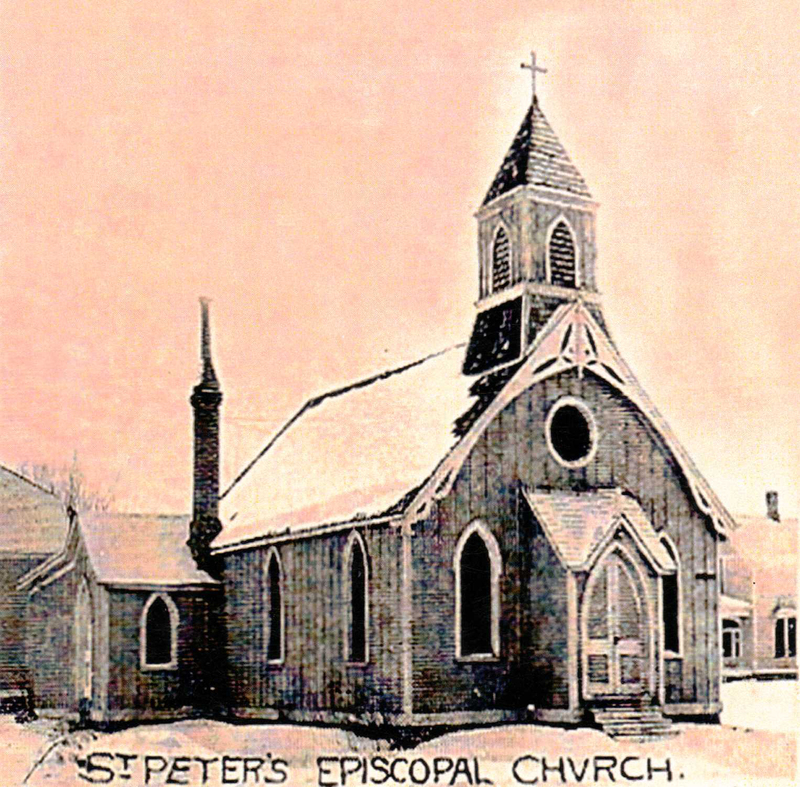 In 1894, after funds were raised, Bishop Talbot himself helped lay the church foundation. In 1911, Edward Ellsworth Hendrickson laid out the plans for a new and improved church on Loucks & Tschirgi, and the old church was moved to a temporary location so services could continue while the new church was being built. The first cornerstone of the new church was laid in 1911, construction was complete by 1912 and the building was dedicated in 1916. 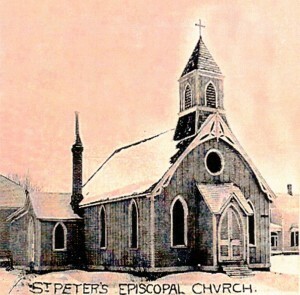 In May 2013, St. Peter’s Episcopal Church was added to the National Register of Historic Places for its architectural significance. It is known for its arched openings, engaged buttresses, decorative beams with carved dentils, original oak pews, and dark stained woodwork, as well as the elaborate stained glass murals.